Buy an optima in upstate New York. The car drives very smooth. It is very reliable, but it takes about 41$ to fill the tank up. The backseat is bigger than my 2017 Sportage was. There is so much room but it is also only a 5 person car. If I were to recommend anything to add to this car would be to get snow tires. Reason being is that the car sits very low to the ground and makes it a bit hazy on the snowy days. My first Kia/optima was purchased in 2013, I love the performance, exterior style is excellent and the warranty was one of the best I have ever had. 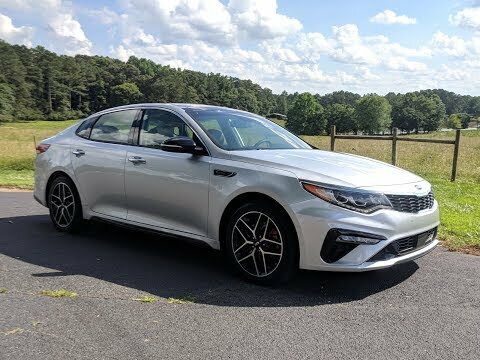 I just purchased the 2019 Kia/optima and it is just as reliable and the style is sporty and all the new features are excellent. It is a economically priced car and runs smoothly in all weather types. I like the vehicle because it runs smoothly and turns well. It drives smoothly in bad weather. I like the interior and the backup camera is very useful. I would never buy a car without one again.